Inhibits and reduces facial wrinkles and sagging. Collagen Anti Aging Serum is enriched with high potency collagen, Hyaluronic Acid, and anti-wrinkle peptides to provide protein nourishment, hydration, and firmness to the skin. 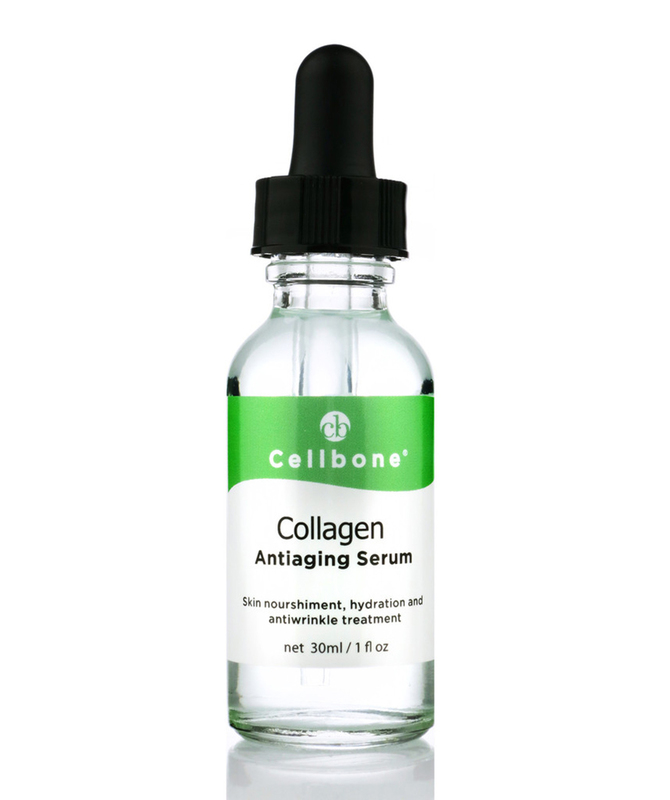 Collagen Anti-aging Serum creates visibly firm looking skin and reduces fine lines and wrinkles. Collagen can only be absorbed as a low molecular weight from 100% pure collagen. Due to its lower molecular weight, there is greater soluble capacity in the Collagen Antiaging Serum, and it penetrates deeper into the skin. The latest anti-wrinkle peptides included in the Collagen Antiaging Serum are 10% Acetyl Glutamyl Heptapeptide-1 (SNAP-8™) and 5% Palmitoyl Pentapeptide-3 (Matrixyl®), which work together to reduce facial wrinkles. Collagen is a nourishing treatment recommended for dehydrated and under- nourished skin. Apply twice a day on clean, dry skin. Massage gently onto face and neck area.